Last year, a genetic study reported in The New York Times found that the Kalash people's DNA seems to indicate that they had an infusion of European blood during a "mixing event" at roughly the time of Alexander's conquests in 4th century B.C. This isolated people are thus most likely the direct descendants of the ancient Greek-Macedonian armies who came to this region 2,300 years ago. The study was published in February 2014 in the journal Science by a team led by Simon Myers of Oxford University, Garrett Hellenthal of University College London and Daniel Falush of the Max Planck Institute for Evolutionary Anthropology in Leipzig, Germany. A 2013 Harvard study published in the American Journal of Human Genetics has found that vast majority of Indians today have descended from a mixture of two genetically divergent populations--Ancestral North Indians (ANIs) who migrated from Central Asia, the Middle East, the Caucasus, and Europe, and Ancestral South Indians (ASI), who are not closely related to groups outside the subcontinent. 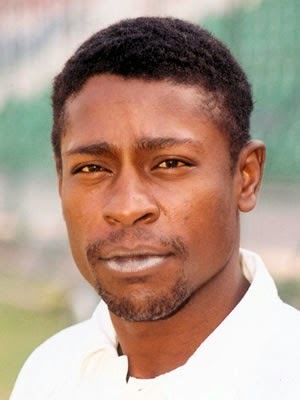 Pakistan is a racially diverse country with a range of of skin colors and facial features. 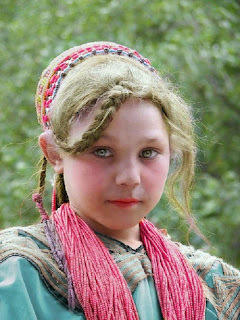 There are people of European descent in its northern areas like the Kalash along with the Sheedi or Makrani people of African descent in parts of the south along the Arabian Sea coastal line. 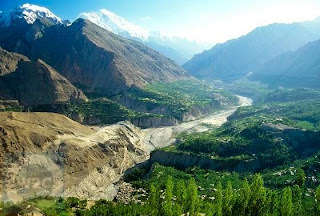 A 10,000 ft high mountain pass and big glaciers separate the scenic Chitral valley, the home of the Kalash, from the Swat Valley that was hit by the Taliban insurgency in 2009. It has so far served to insulate these pagan people from the rising tide of intolerance and religious militancy in the Islamic Republic. A CNN story calling the Kalsh "the happiest people in Pakistan" succinctly captured their lives in the following sentence: "Year round, the Kalasha dance their way through a stream of festivals and rituals, and socially and culturally, theirs appears to be a joyful existence". They are not Greek or Macedonian. They are native to the region. Their religion also shows signs of Paganism practised throughout Afghanistan by ancient Iranic or Indo-European people. May be Pashtun believe that their ancestors were greeks or what soever. That region has been invaded by many empires from all sides. Tomorrow they will become Mongols and later they will call them selves turks, or iranians as all look alike. Anyways, I am not a Pathan, nor my ancestors migrated to Pakistan from north or west or wherever. I look like typical south asian, neither an invader nor a slave of an invader. It's not just their claim; it's the DNA evidence that links them to Greeks and Macedonians. Pakistan's sensational media coverage projects only the dark side of the country with a constant stream of news stories of militancy, illiteracy and deprivation. But BBC Urdu took a road less traveled and found a small village of Rasoolpur in the Punjab which demolishes some of the worst stereotypes of the country. Translation: News from remote areas of Pakistan does not easily reach the urban press but when it does, any good news like 100% literacy and zero crime in Rasoolpur village is discarded by the sensational media as not newsworthy. Rasoolpur is a village with a population of just 2000. Most of its residents are ethnic Baloch whose ancestors migrated from Pakistan's Balochistan province to Southern Punjab. It is located in Rajanpur district in the Seraiki speaking region. Its literacy rate is near 100%. The United Nations defines literacy as the ability to sign one's name. But Rasoolpuris hold themselves to a much higher standard; they have all their children finish high school. Vision 2047 looks back 4000 years to South Asian region's past where a thriving yet peaceful civilization was flourishing in the fields around Indus river. This was the time of Egyptian, Chinese and Mesopotamian civilization. Filmmaker Saqib Mausoof embarks on a journey "in search of Meluhha", a documentary that tells the story of "Indus Civilization through the eyes of its inheritors". Where was Meluhha? How Meluhha connects to Indus Valley Civilization (IVC)? How did the civilization disappear into the pages of history? We will ask Saqib what he discovered during his research while making the documentary. We will also ask Riaz Haq of www.RiazHaq.com, a writer and researcher about the irrigation systems, housing and urban development and technological innovations of people of South Asia 4000 years ago. Ali Hasan Cemendtaur will join us and talk about what he found out about IVC while attending a program at India Community Center (ICC) and organized by 1947 Partition Archive, where leading researcher on IVC Professor Jonathan Kenoyer talked about his latest discoveries. Lovely article, Prof sb. We want to read more such articles on Pakistan than the overdose of bad news that local agencies seem fond of churning out. Btw, have you read the SOFI report for 2015 which was out on Wednesday. Pakiland's hungry % has actually worsened in the last control period from 21.8% in 2010-12 to 22% in 2014-16. India has improved from 15.6% to 15.2% in the same period and has beaten both Pakiland and BD. Members of this community (Kalash) say they are battling to preserve their traditions against two powerful forces: the encroachment of modernity and pressure to conform with the surrounding Muslim population. At this year’s festival, the women wore their traditional long black dresses embellished with bright patterns, heaps of colorful necklaces and headdresses adorned with beads and seashells. But some of the younger women covered their faces for the dance with scarves, in a recent adoption of conservative Muslim norms. The tribespeople now inhabit three narrow valleys in Chitral, where they grow crops and raise long-haired goats. Their valleys are accessible only by a narrow track carved into the mountainside. The Kalash language and religion are distinct, as are their pacifistic ways in a region known for violence and internecine feuding. Even in their remaining three valleys, the Kalash are now outnumbered by Muslims. While the native Chitralis are known for their tolerance, many Muslim settlers from outside the region have brought a harsh brand of Islam with them. 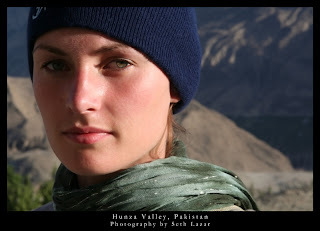 Women are in many ways the anchor of Kalash culture. Confidently mixing with men and enjoying home-made wine and liquor fermented from mulberries or apricots at festivals, women usually choose their husbands—unlike most of Pakistan, where marriages are arranged by family elders. A Kalash wife can leave her husband for another man as long as the first one is financially compensated. Kalash men have adopted the shalwar kameez, the baggy shirt-and-trousers combination worn by men throughout the rest of Pakistan. The men say they are encouraged by Muslims neighbors to shave, so they are not mistaken for Muslims. The Kalash have adopted Muslim names, while the now-educated young men are reluctant to tend goats, an animal considered pure by the Kalash and an important part of their religion. With no written tradition and no sacred book, many Kalash find their religion, a faith of shamans and animal sacrifice, hard to explain. They believe in one supreme God, but other deities function as intermediaries. Cellphone service, another intrusion of the modern world, arrived in some Kalash areas only this year. 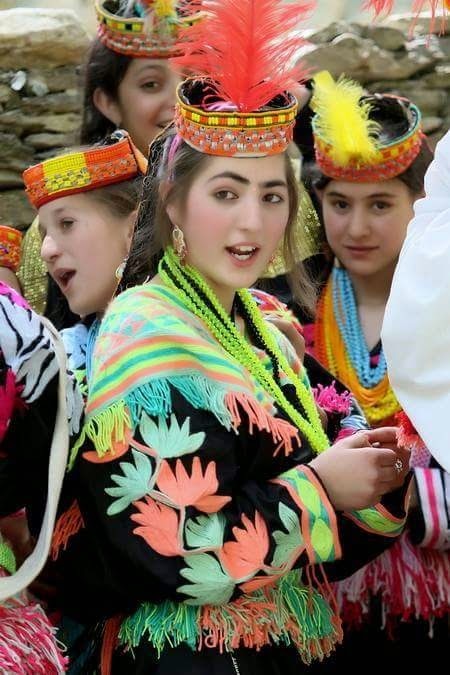 But while modernization has taken some Kalash away from their home valleys and beliefs, it has also made many of them prouder of their unique heritage.